Drawing room is a place your guests get seated and can have a conservation with them. It creates a welcoming environment to the guests. The room can be used after having supper or in the evening time for getting entertained or playing. People get relaxed and really enjoy talking, so drawing hall is a space where you chitchat with one another. Drawing hall includes couches, sofas, chairs, coffee table and the interior is decorated with paintings, flowerpots, television unit, wall art, light fixtures and closets. The interior of the drawing hall must be designed with utmost care as it creates an impression for your guests. It should be simple, elegant and should give a cozy feeling. Be sure that you should not decorate with knick knack materials and clutter the room. 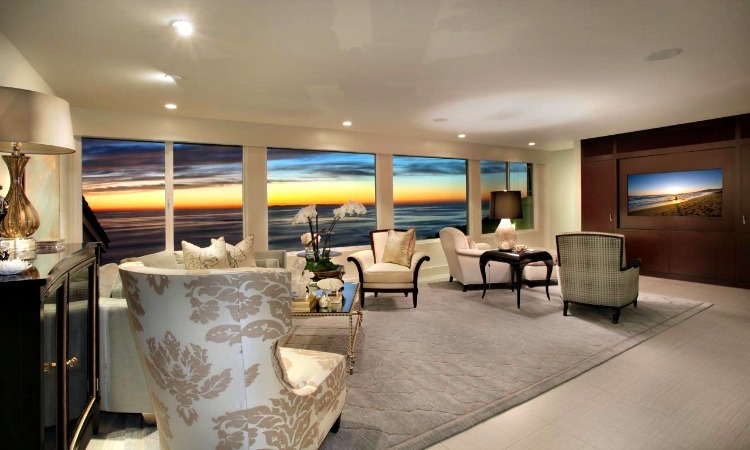 The room must create a dramatic effect by the interior. Many people uses their lounge and living room as drawing room. But, if you vacate a place for drawing hall here are few modern drawing room designs which helps you in choosing the interior designs. In the view of this image you can see a modern drawing room which is minimal. The interior is decorated with the wooden wall cladding and has mounted with the photo frames on it. The false ceiling is a pop ceiling with hidden lights and has a massive chandelier which illuminates the drawing room. The flooring is made of wood with the smooth textured carpet. The couches are midcentury modern model with the colorful cushions on it and looks catchy. There is a coffee table made of wood and glass served with the drinks and has ornamental plants on it. The drawing room looks modern with the interior design. The interior is decorated with the closets and cabinets to store accessories and the tv unit is also placed in the room for getting entertained. The room also has picture windows for viewing the outdoor and the wooden wall cladding beside the windows looks amazing. 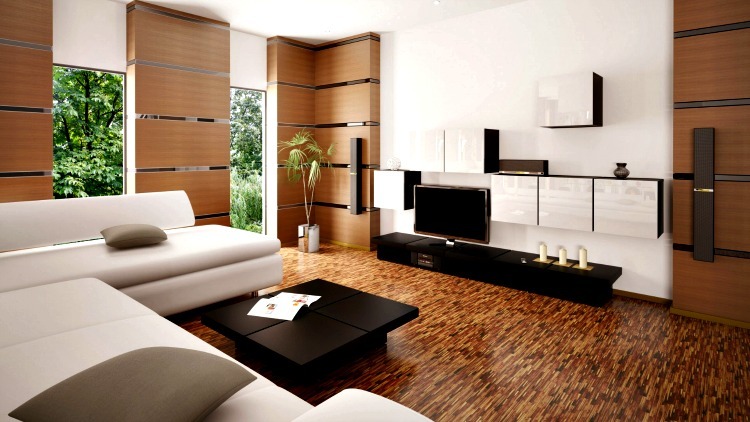 The room has ultra modern couches which looks comfy and the flooring is patterned with wood. It has a coffee table made of misaki wood and the interior also has ornamental plants. The false ceiling is dry wall ceiling with lights. The drawing room looks fabulous with the sunrise wall papers. It creates a dramatic effect in the room and it is phenomenal. The room has many couches for seating and has a table for placing flower pots. The room has a wardrobe to store accessories and it also has a night stand with the lamps. The interior is decorated with the wall cladding and mounted the television in it. The false ceiling is a dry wall ceiling with simple light fixtures and the flooring is made of white tiles with a grey throw rug on it. 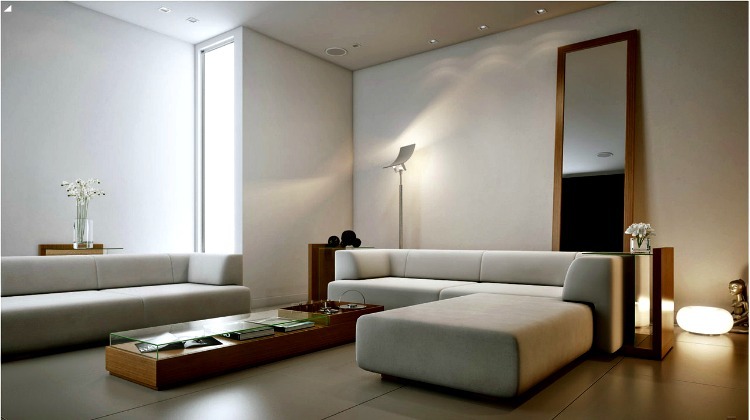 The room looks bright with black and white contrasting colors and the image is a modern drawing room. The interior is decorated with the ash wall paper and has frames on it with the theme of nature beauty. The flooring is made of laminated hardwood. The room has modern couches. If needed you can place a sofa so that three or four people can be seated. There are modern white and black poufs and a pendant light is hanging from the roof. The room also has a coffee table for serving snacks and casual drinks. It also has a chest of drawers for placing accessories and has night lamps. The image of drawing room is beautiful. The flooring is made of white ceramic tiles and is glossy with a carpet under it. The interior is decorated with wooden cladding and has panelling behind the television. 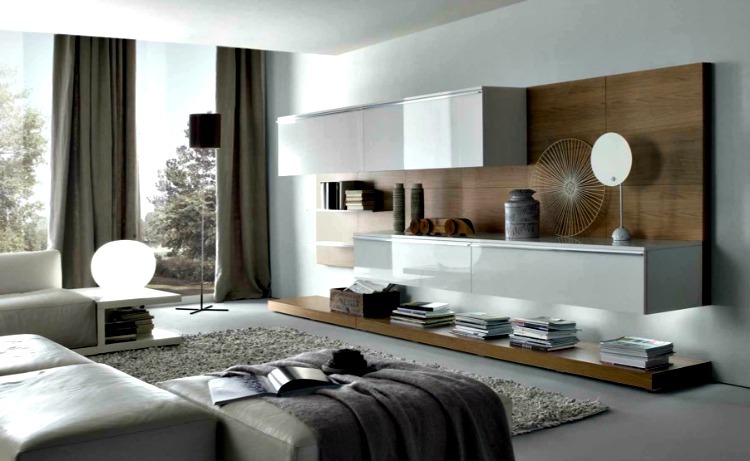 The cladding also has closets and can display items which adds beauty to the room. The room has couches, chairs, coffee table for serving and has Tiffany lamp. The room has a wooden partition and the false ceiling is pop ceiling with hidden lights and simple light fixtures. The room looks modern with the interior design. The drawing room has comfy leather sofas with a lamp attached to the wooden panel. The interior is decorated with wooden cladding behind the television and has panelling which has decorative items on it. The flooring is plain vinyl flooring with a saxony grey throw rug and a wooden panel is placed on the floor for storing books. The room has a floor lamp and the false ceiling is dry wall ceiling. The room has picture windows to view the extra ordinary outdoor view covered with thick table top draperies. The sofas in the drawing room are ultra modern and is eye catching. The interior is decorated with dark grey wall paper and has a photo frame mounted on it. The sofas are comfy and many people can get seated. The flooring is made of white marbles and has a velvet plush carpet laid on it. The room has floor lamps and closets for storing books and accessories. The false ceiling is plain and the room has picture windows and the sun rays get refracted inside the room and if necessary you can cover it with thick draperies so that sun rays get reflected outside the room. 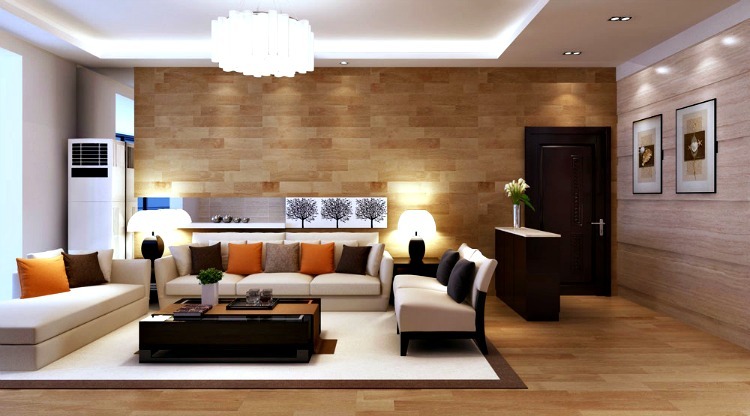 In the view of the image you can see a drawing room which looks elegant. The flooring is made of white ceramic tiles and has a saxony plush carpet. The room has couches to get seated and coffee table for serving edible items. The interior has stone cladding behind the television and wall cladding which has big mirror which reflects the alluring drawing room. The room also has dining table and after having your meal, the guests can be seated in the sofas and get entertained by the tv or can talk with one another. The false ceiling is dry wall ceiling and has a chandelier attached to the roof. The drawing room is modern and baronial. The drawing room interior is decorated with the wooden wall cladding and panelling on all sides of the room with the lights. The room has closet decorated with ornamental plants. The room has modern couches for seating and has dining table with the chairs adjacent to it. The room has coffee table served with edibles and has a night stand with a lamp on it. The room has a television and has pottery ceramic vases. The false ceiling has ply wood panelling with light fixtures and the flooring is made of glossy tiles. The drawing room looks simple and modern. The interior is decorated with the reclining white sofas which looks elegant. The room has glass storage table for storing books. The false ceiling is dry wall ceiling with plain light fixtures and the flooring is made of ceramic tiles. The interior has flower pots and is decorated completely with snowy white color which creates a peaceful environment and has a floor lamp.